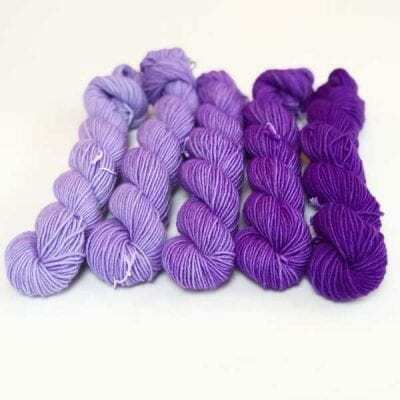 Pure silk yarn in a choice of solid and variegated colour ways, hand dyed in India. These are the colours currently in stock. We do not accept back orders because we can never guarantee that colour ways will be the same twice. However, they can be dyed to order so if you want something particular then please get in touch. Contessa is a pure silk yarn for knitting and crochet in a variety of solid and variegated colour ways. 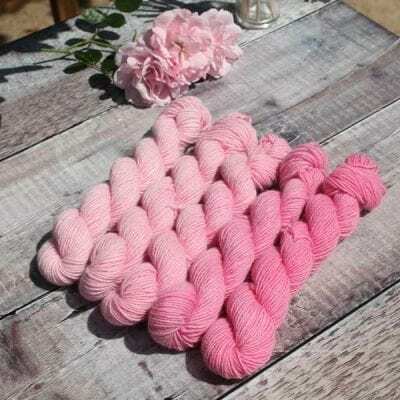 It is listed as a DK, mainly because of how it knits, it’s weight and length per 100g, however, it is actually a 4ply in that it is 4 strands of silk twisted together. However, it knits on anything from a 3.25-4.5mm so depending on the finish you are after it’s really versatile and adapts well to many patterns giving a unique drape and shine that is only achieved with silk. I always recommend knitting a tension square with any of my yarns. 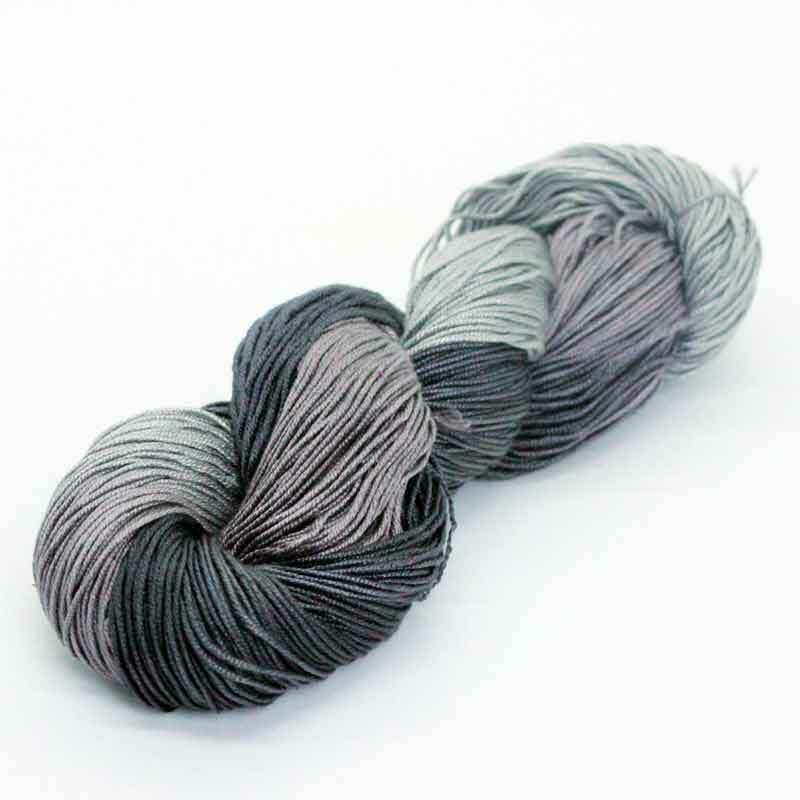 This yarn is extremely popular and no two dyelots are ever the same. I try to keep the images on the site current, but your order may differ slightly to the images shown. Also, please ensure that you buy enough to complete your project as it sells fast. Beautiful quality, it made my day. I have just finished knitting a shrug using this yarn and I am not only really happy with the finished garment but it was a dream to knit with too. I have knitted with other silk yarn before but have found it quite awkward as it catches on anything rough, but wasn’t like that at all – it glides smoothly through your fingers, and is soft to the touch.. The stitch definition is perfect and the changing colours have given the item such a pretty pattern. Very happy customer – can’t wait to use it again for something else.